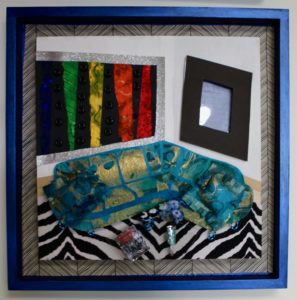 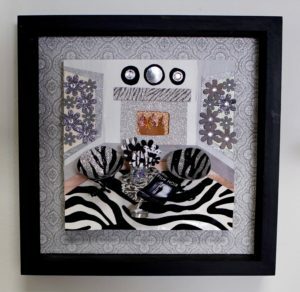 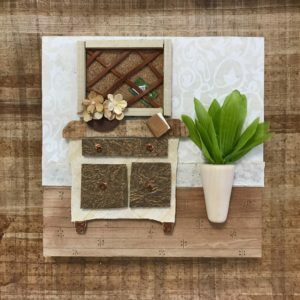 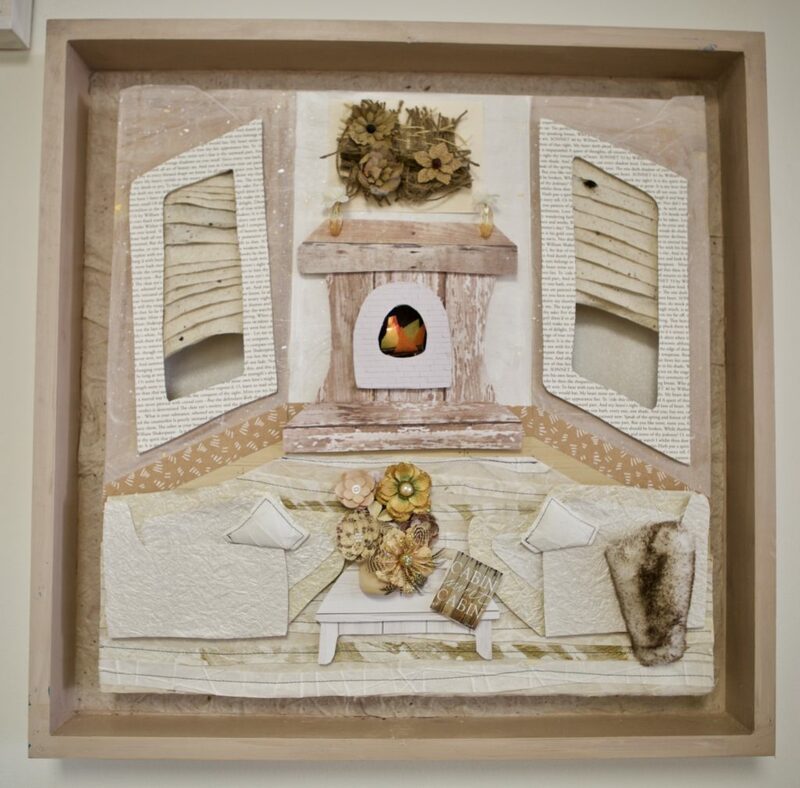 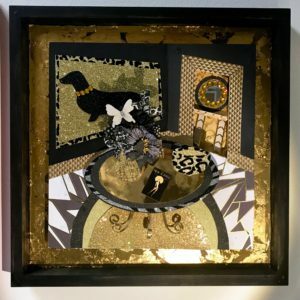 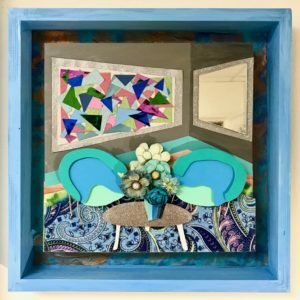 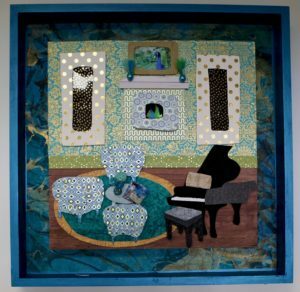 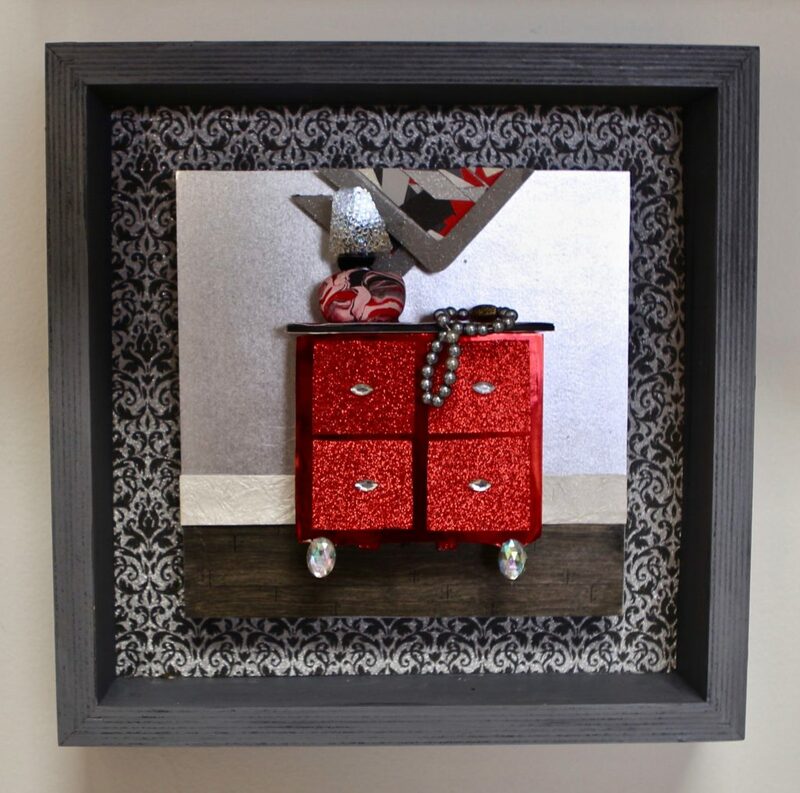 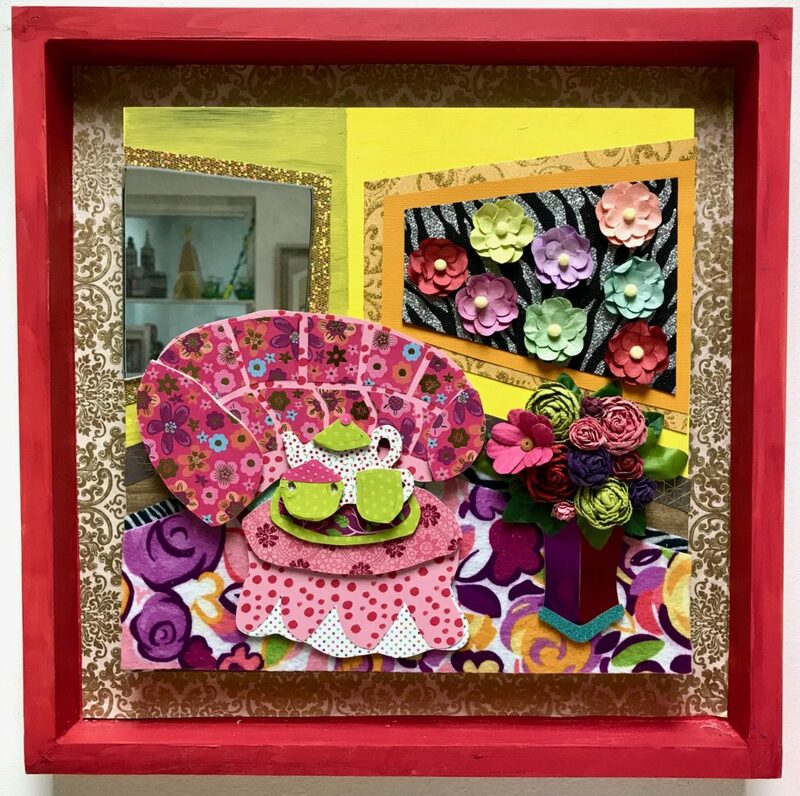 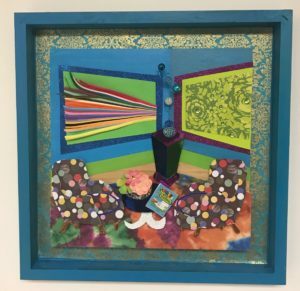 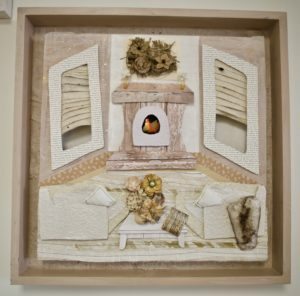 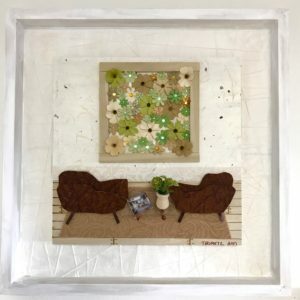 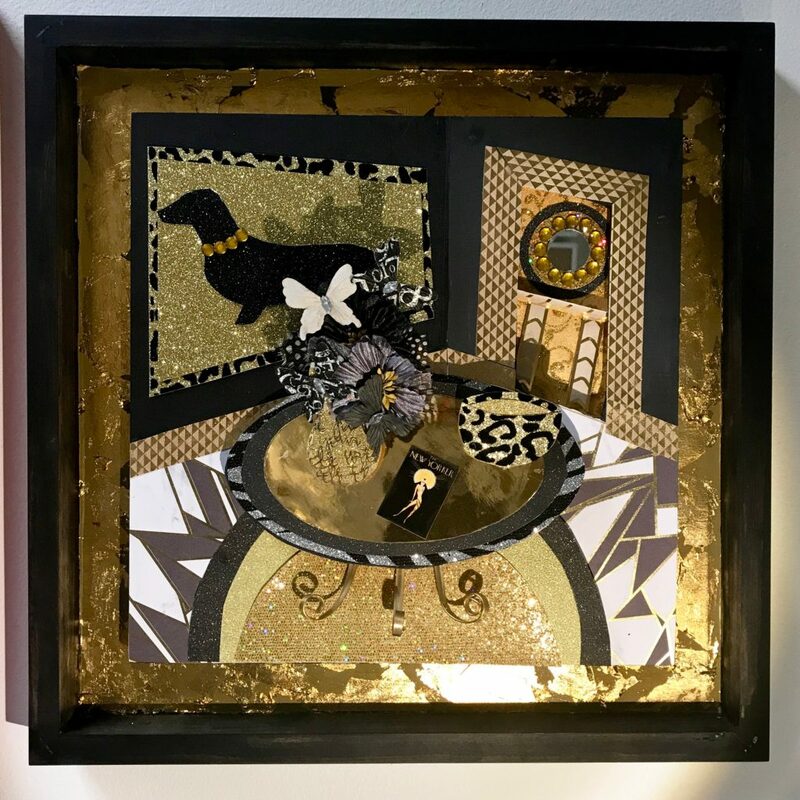 These multi-media interiors are made by me, Kathleen Thometz, owner of Doodle Art & Design. 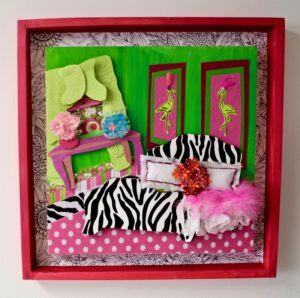 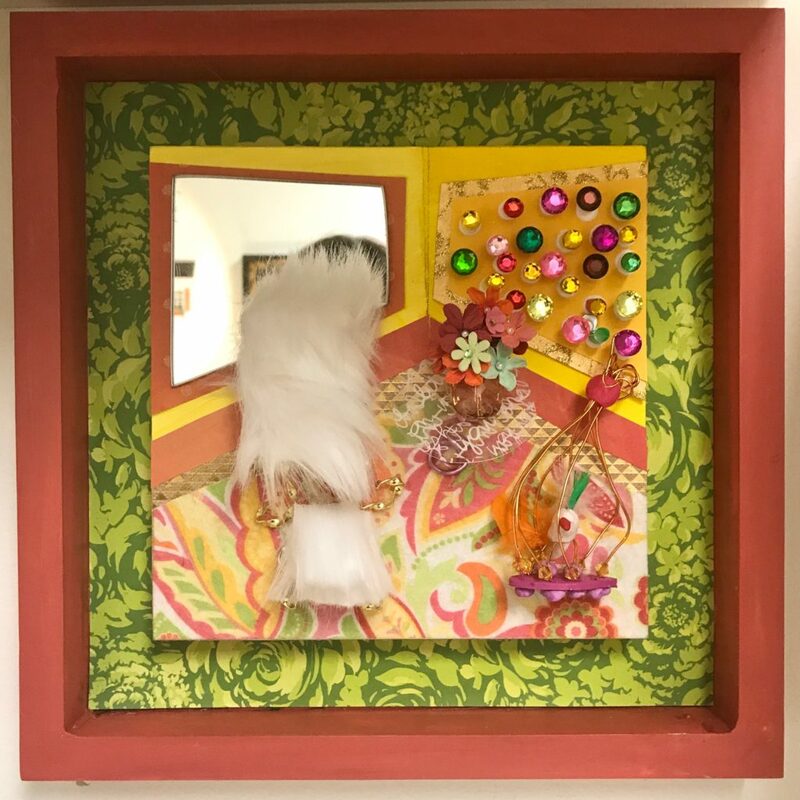 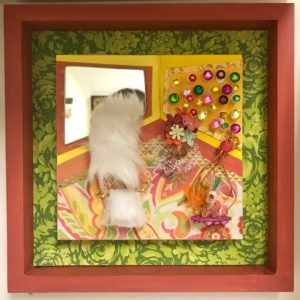 They are created from paper, wood, mirrors, fur, flowers and other fun things I finds at my local craft stores. All pieces are for sale and ready to hang in that perfect spot! If you are interested in purchasing one, head over to my shop!